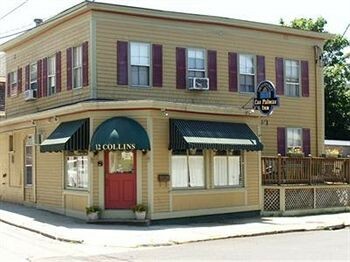 Property Location When you stay at The Henry Collins Inn in Newport, you&apos;ll be near the beach and minutes from Firehouse Theater and Touro Synagogue. This bed & breakfast is within close proximity of White Horse Tavern and Old Colony House.Rooms Make yourself at home in one of the 5 air-conditioned rooms featuring refrigerators. Complimentary wireless Internet access is available to keep you connected.Rec, Spa, Premium Amenities Make use of convenient amenities, which include complimentary wireless Internet access and tour/ticket assistance.Dining A complimentary cooked-to-order breakfast is included.